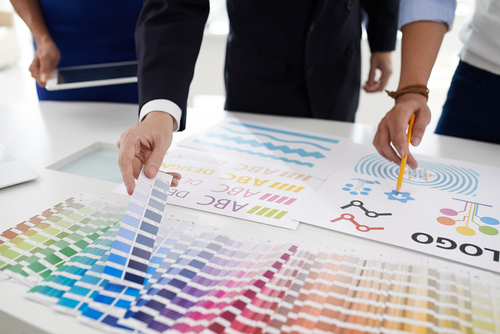 When it comes to branding decisions, creating a memorable and impactful logo is key. Not only is the logo one of the first pieces of collateral that your audience sees, but it is what they will remember you by. Therefore, there is no room for mistakes. In fact, according to a recent study done by Google, the first impression of any visual aesthetic piece is made within 50 milliseconds. That means after taking a look at your logo, your audience has already made important decisions about your brand. So what mistakes are commonly made that should be avoided? Let’s take a look. While it may seem like a creative and innovative idea at first, drawing your logo yourself from hand never really turns out the way you want it to. Often times, it will come up messy or not as sharp compared do a digital design, leaving your logo looking incomplete. Not only is this just a bad look, but this can also create a sense of distrust with your audience, and initiate a reputation that may result in your customers not taking you seriously. You want your audience to think your company knows what its doing, so your logo should reflect that. Instead, stick to logo design best practices and try an online DIY logo builder. For example, FlashMarks is a free tool that lets you make your own logo in a range of sizes and shapes in order to consistently brand content on your website, social stream and printed files. You should compete with competitors in terms of quality of service and products, not in terms of a logo. If your logo is too similar to your competitor’s, you run the risk of losing customers who mistake another brand for yours. When designing a logo, choose unique colors, shapes, fonts and design elements so there’s never any confusion. When designing logos, many brands forget who their logo is actually for their customers. You’re trying to appeal to your target market and get them to remember you, so why not make sure your logo is something that will attract them? Think about the demographics of your audience age, gender, culture, language, hobbies, religion and economic background and use that to inspire your logo design. If your company is aimed at little kids, does it make sense to have a logo that is all black or involves a lot of complex designs? No. A colorful logo with friendly faces or memorable designs would likely be more effective in capturing their attention. Logos are a vital part of any company’s branding strategy. It is implemented on most marketing initiatives and collateral, and is one of the most visible parts of any brand. Therefore, as an entrepreneur, it’s important to take extra care with your logo and avoid making any mistakes. That way, you’ll end up with a visual design that captures your audiences’ attention and remains memorable for a long time.